Berenice Abbot (1898-1991) was an American photographer from Ohio, who was famous for her cityscapes (Penn Station, Manhattan Bridge, th Flatiron Building). In the 1950's she spent two years at MIT creating beautiful black and white photographs of basic physics experiments. Her images were displayed at MIT in 2012 in an exhibition HERE. Also a write up in the Guardian HERE. 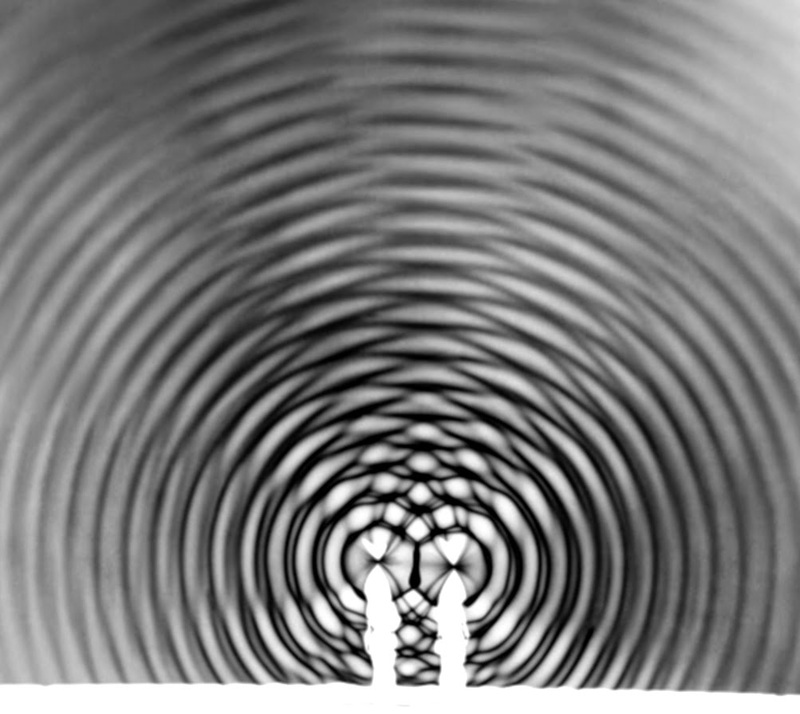 The image below is an interference pattern from 1958.